O-107 R4+ at top, O-107a R4+ at bottom, though the combination of the two is what is supposed to be R4+, so each die state may be R5. 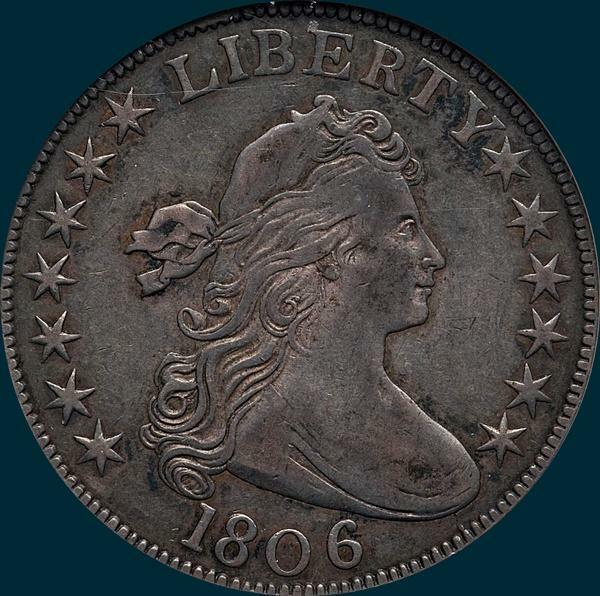 PCGS Graded VF30. 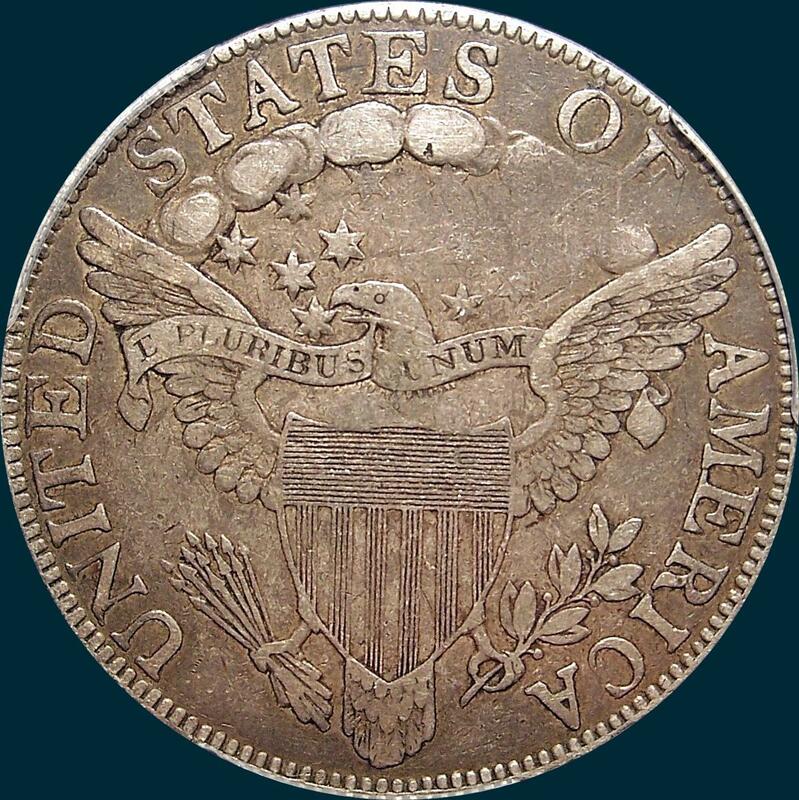 Crossed from an NGC VF20 holder. 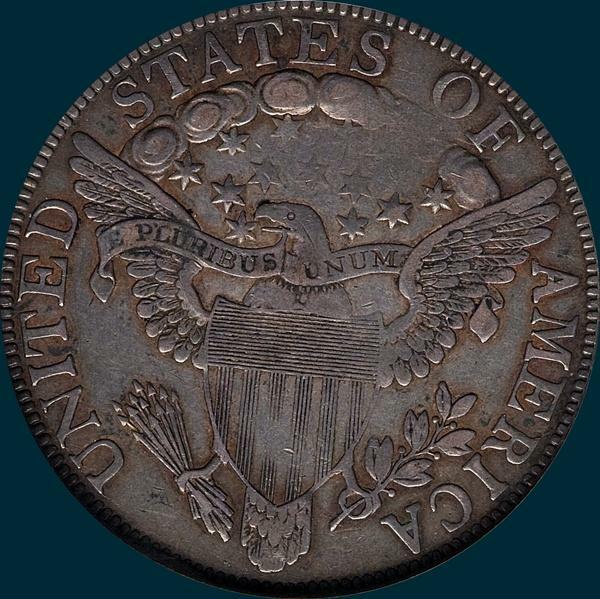 Bowers described it as such:A handsome and fully original example of this scarce die marriage, both sides are awash in even copper-gray patina. 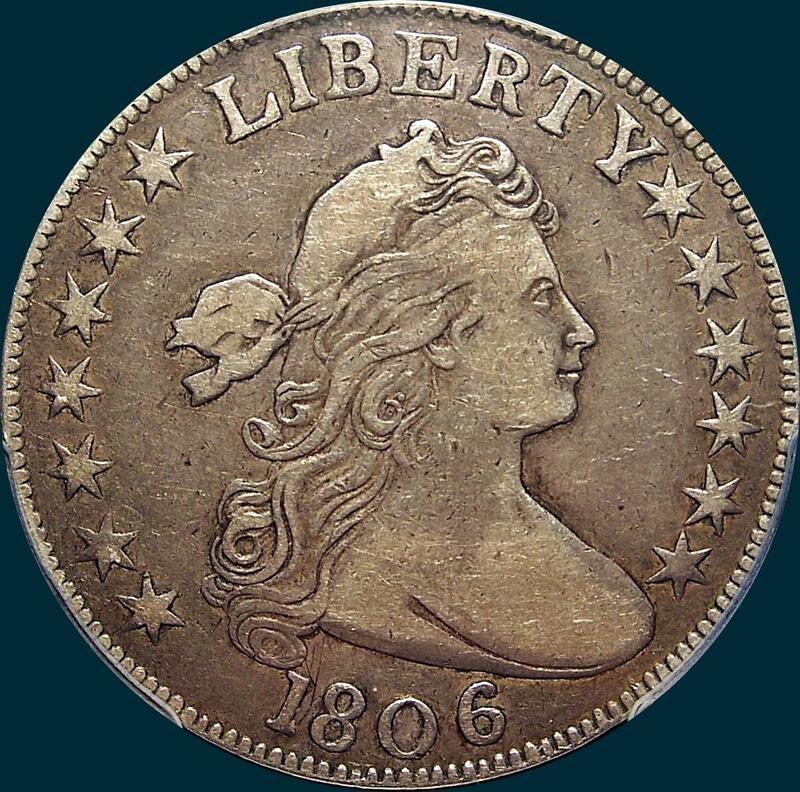 Liberty's bust and the opposing area on the reverse are softly defined--a fairly common attribute for the type--but the wear is evenly distributed even though it is fairly extensive. Scattered abrasions are mostly small in size and singularly inconspicuous to the eye. Reverse (O-107)-5 berries all with thick stems. Eagle's beak touches upper side of star point. Point of leaf to left base of I and 1/4 mm. from same. ME joined. (O-107a) Die crack has formed top of UNITED (tough to see below, but it is there). Latest die state has a cud developing around the crack.